﻿Martha Schwartz is a landscape architect and artist with major interests in cities, communities and the urban landscape. As principal of Martha Schwartz Partners, she has over 35 years of experience as a landscape architect, urbanist and artist on a wide variety of projects located around the world with a variety of world-renowned architects. She is the recipient of numerous awards and prizes including the Honorary Royal Designer for Industry Award from the Royal Society for the Encouragement of Arts, Manufactures and Commerce for her outstanding contribution to UK design; the Cooper Hewitt National Design Award; the Women in Design Award for Excellence from the Boston Society of Architects; a Doctor of Science from the University of Ulster in Belfast, Ireland; a fellowship from the Urban Design Institute; visiting residencies at Radcliffe College and the American Academy in Rome; an Honorary Fellowship from the Royal Institute of British Architects and most recently a Council of Fellows Award by the American Society of Landscape Architects. 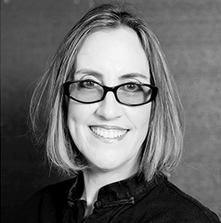 Martha Schwartz is a tenured Professor in Practice of Landscape Architecture at the Harvard University Graduate School of Design, a founding member of the Working Group of Sustainable Cities at Harvard University and was appointed in 2015 as Build Environment Expert by the Design Council Cabe. She has lectured both nationally and internationally about sustainable cities and the urban landscape, and her work has been featured widely in publications as well as gallery exhibitions.